Just for fun: The Top Five List. Everyone should have one. It’s just good survival skills. Let’s say that you’re walking down the street, and one of those celebrities for whom your little heart goes pitter-pat walks by. Let’s say you strike up a conversation, and one thing leads to another. Suddenly, you’ve got a dilemma. You’re in a relationship, but…but…it’s so-and-so! This is the chance of a lifetime we’re talking about here!! What to do? Hence, The List. Also sometimes known as the “Freebies” list, this is the list of the celebrities for whom you are allowed to bend the rules. I think the concept originated on an episode of Friends, sadly, in which there is discussion of Ross’s list, which is laminated and lives in his wallet. Isabella Rossellini guest-starred, perhaps. Anyway. It is, of course, highly hypothetical, and purely for fun. I am not condoning any sort of inappropriate behavior. Nor am I suggesting that actors or celebrities are merely there for our objectification. This does not need to be that serious a conversation. But let’s face it. Most of the time, actors and actresses are pretty people. They’re fun to look at. It’s part of their job, frankly. And we humans are visual creatures. Deal with it. I have had a list in some “official” capacity for a very long time. Sometimes I wish I’d kept better track of them so that I could really trace the evolution of my choices, because I find them interesting. But, I will say that in the last few years, there haven’t been any major changes. Usually, it’s just the Number 5 spot that sees the most action. And recently, some friends and I (yeah, we like to talk about boys, you wanna make something of it?) realized that more than one list is necessary. But we’ll get to that in a moment. Right now, I know the question that you’re dying to ask. Wait no longer! Behold, in its most official format to date (simply by virtue of becoming a post on this blog), My Top Five List. Yeesh. I’m kind of nervous about making such a declaration. But first, some caveats. I would like to say that my list is much more to me than simply pretty faces. These are all men who are talented, seemingly intelligent, often funny, and just interesting human beings. I also think they’re all quite lovely to look at. OK. Ready? Here we go. I know, big shock. 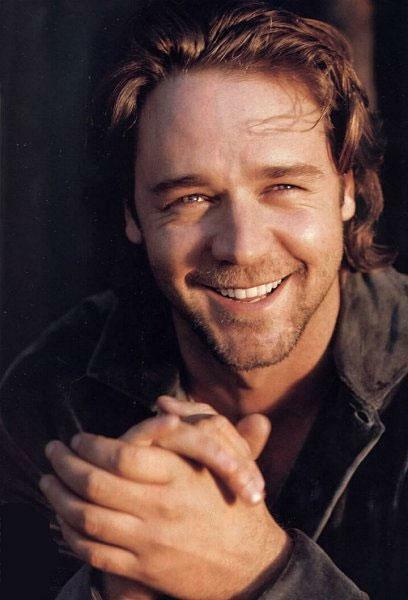 My love for Mr. Crowe has already been well–documented on this blog, so we’ll move on. Kind of a newcomer, but he jumped right into the number 2 slot. 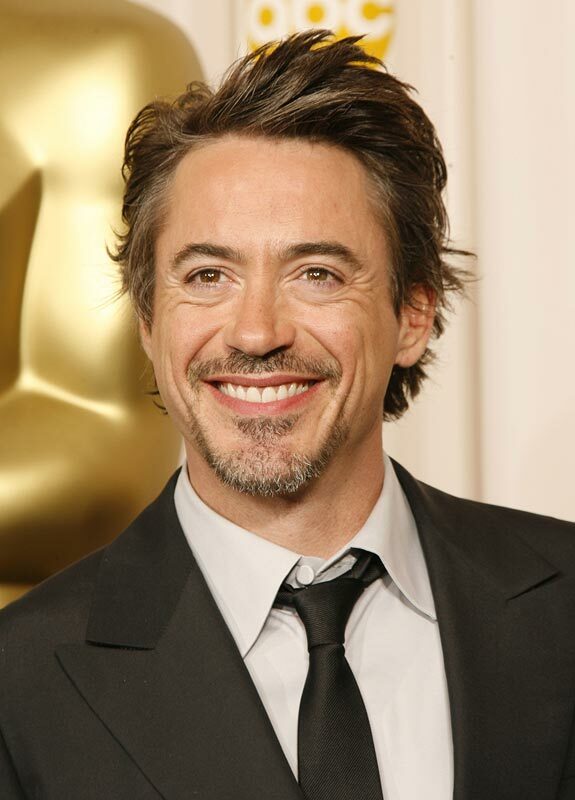 I watched a couple of movies in preparation for Iron Man two years back, and by the time I saw Mr. Downey bring Tony Stark to life, I was good and truly smitten. Nobody should be allowed to live the life that man has lead and still look that good. Seriously. Recommended viewing: Kiss Kiss Bang Bang. Several years ago now, I watched the movie Timeline at a friend’s apartment. I spent most of the movie seriously trying to figure out how to crawl into the television set. I admit to not having seen The Ugly Truth or The Bounty Hunter yet, but that’s just because I know Mr. Butler to be capable of better. Go see Dear Frankie, and then we’ll talk. It’s a long story, but let’s just say that I had occasion to watch the entirety of Firefly over the course of a weekend, and from then on, I’ve been kind of obsessed. Mr. Fillion has the distinction of being the only Top Fiver that I’ve actually seen in person (and actually shook hands with!! ), and let me say that the screen does not do him justice. My overly giddy reaction leaves me concerned about what would happen if I were ever to meet #1 or #2. I think I might pass out. Recommended viewing: Waitress. 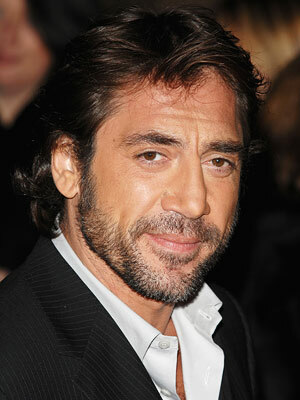 He’s the newest addition, although I’ve had my eye on him since the 2001 Oscar telecast, when he was nominated for Before Night Falls (which is excellent, if you like heavy drama). He’s so totally charming. I do wish he would make less heavy drama so that I was more inclined to watch his movies, but I’m hoping that after Eat Pray Love he may do some more work that doesn’t involve horrible haircuts and being an assassin. No, I haven’t seen No Country for Old Men, and probably won’t. Recommended viewing: Vicky Cristina Barcelona. …yep.That’s my list. Lovely, aren’t they? Sigh. Oh right, I mentioned the need for more lists. So, when compiling a List, there are always thoughts like, “Well, five years ago I would totally have said so-and-so,” or “Do they have to be alive/current?” My friends and I decided that these considerations were important enough to warrant two secondary lists. Just for the sake of being organized, you understand. I admit I don’t have these lists quite as fleshed out yet, but here’s what I’ve got so far. …SO? I’m now DYING to know. Who’s on YOUR list? This entry was posted in Favorites, Just for Fun, Lists. Bookmark the permalink. Ahahaha… so you’re allowed to bend the rules eh? Well my hubby is lucky I won’t do that for even y’know, the 3rd guy on the list, but I get the point. LOVE that pic of Russie and Gerry, they both have sensational smiles!! Yeah, skip Bounty Hunter or The Ugly Truth, you’re a smart woman. I’ll add The Jury for the ‘essential’ movies to see. Sorry, but I still don’t see the fuss is about Javier… don’t kill me. We actually quibble on the freebie part…Husband thinks it should only be the #1 person on the list. But then what would be the point of the list?? Ah, the Meeting of the Fillion. I have to admit, of our List members, I think I could keep ahold of myself better if I were to meet him than if I were to meet others on either List. We’d at least have things to talk about. I’m pretty sure Paul Bettany and I have absolutely nothing in common. Same with James D’Arcy. Peter Wingfield, however (who is migrating slowly into the “used to be hot” category, unfortunately), is also a nerd besides being the longest-standing member of my List. Add that to the fact that he’s Welsh and the combination might make my head explode. I think the fact that my list is constantly changing is illegal somehow. No laminated cards for me. But it’s my list and I’ll do with it what I want. 1. Nathan Fillion. No contest. You know that 🙂 I still remember you calling me when you met him. I’m also convinced that when I met him he fell tragically in love with me. 2. 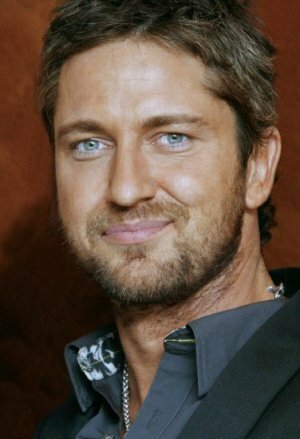 Gerard Butler. Skanky,yes, but man oh man what a man. I mean, why wouldn’t he fall tragically in love with you?? For serious. Thumbs up on Neil Jackson, too. Oh dear how could I miss reading you meeting Nathan Fillion!! And shook his hand even! So jealous! You probably already read my full account of me meeting Gerry. I sort of did shook his hand (grabbed his hand is more like it :D) Luckily I didn’t pass out! You’ll probably only know 2 people in my list, the rest are Japanese people.